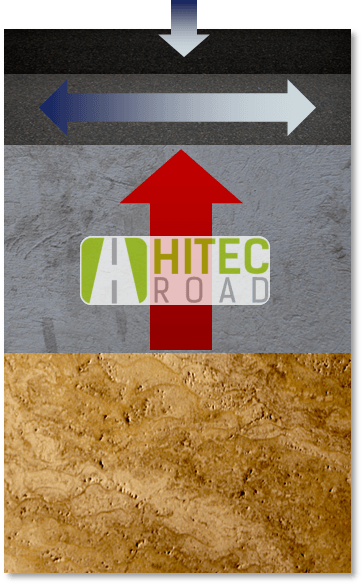 The HITEC Road layer is water impermeable which maintains strength. Once the water gets into the traditional based layers compaction may fail. During hydration process, long needle-like crystals form that will support heavy loads and creates flexible base to ensure high durability.